Most weeks, Unlocking Detention visits a specific detention centre. Last week was a little different. From the 4th-11th November, Unlocking Detention focused on the hundreds of people held under immigration powers in short-term holding facilities and prisons across the UK. Those detained in prisons are even less visible than those held elsewhere in the UK’s detention estate, and face additional challenges. At the end of June 2018, 321 people were being detained in prisons, representing 14.4% of the total population detained under immigration powers. 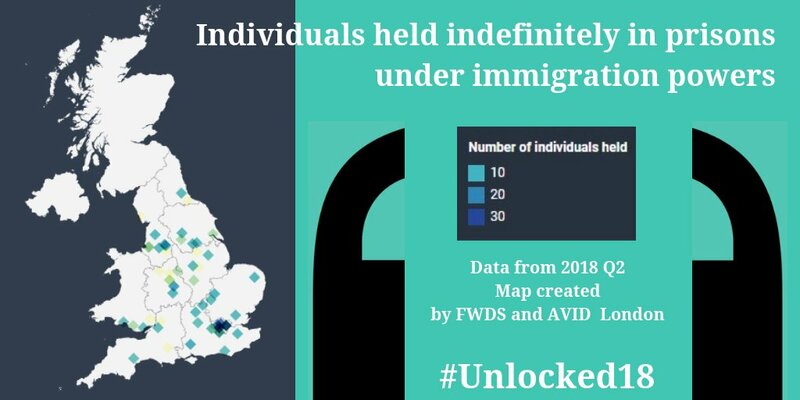 This interactive map, created by AVID and FWDS London, shows how many people are detained indefinitely under immigration powers in prisons and where. We’ve been tweeting about immigration detention in prisons all week, and also featured this blog from Benny Hunter at AVID on why the hundreds of people detained in prisons must not be forgotten when we talk about detention reform. There are around 400 people held in prison under immigration powers. Only around 10% are thought to have legal representation. People who are held in prisons under immigration powers are serving 'double sentences'. This week we also focused on the UK’s 40 short-term holding facilities. Here, people can be detained for up to 24 hours or seven days, as explained in the graphic below. Because people are held in residential short-term holding facilities for a short time (up to a week), it is hard to capture what's happening inside. Short Term Holding Facilities is another name for mini immigration #detention centres that Unlocking Detention is visiting this week. Several of them are residential. Manchester Residential Short Term Holding Facility opened in June this year, replacing Pennine House. It holds 32 people. 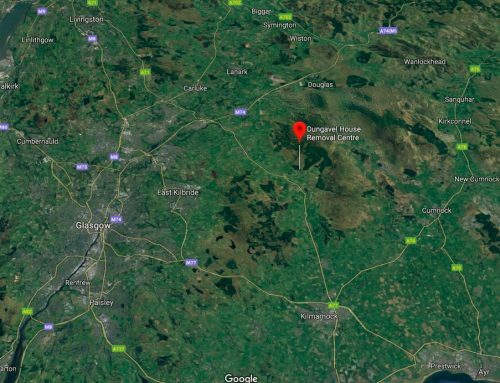 The Manchester Airport detention facility that opened this June comes at a time when many people in Manchester and the North West are saying, loudly and clearly, that we’ve had enough of people being taken from our communities and locked up in prison-like conditions, just because of their immigration status. Councillors, union activists, refugee and migrant groups and community organisations have been uniting to say ‘no’ to detention. She also highlighted the actions you can take to challenge detention. Read Lauren’s blog here. We had a new feature this week: an interview with former MP Sarah Teather, conducted by expert-by-experience K.A. K.A. interviewed Sarah over email about her experience of running the parliamentary inquiry into immigration detention. What I would say to people out there reading this is never give up. You only lose when you give up. More importantly, tell your story. These little voices coming together that will send out the greater voice to make a difference. Your voice can make a difference. "Eight months after my release from detention, I am still trying to put the pieces back together and there is not a single day I do not get flashbacks of my experiences in detention." It doesn’t matter how you jeopardised your immigration status, if and when you are detained, you will be detained indefinitely. It will affect you and your family mentally, it will drain funds and resources, you will lose control and sight of your own immigration process, you’ll have no idea when your fate will be decided, even if you have the desire and power to legitimise your stay in the UK. All control will be taken away from you, you have limited legal resources at your disposal. It is the Home Office’s way of exerting mental control over you. A.’s blog is a must-read. Find it here. Expert by experience and @FreedVoices member A spent 9 months in detention. The next blog of the week came from Katherine Maxwell-Rose of IMiX. 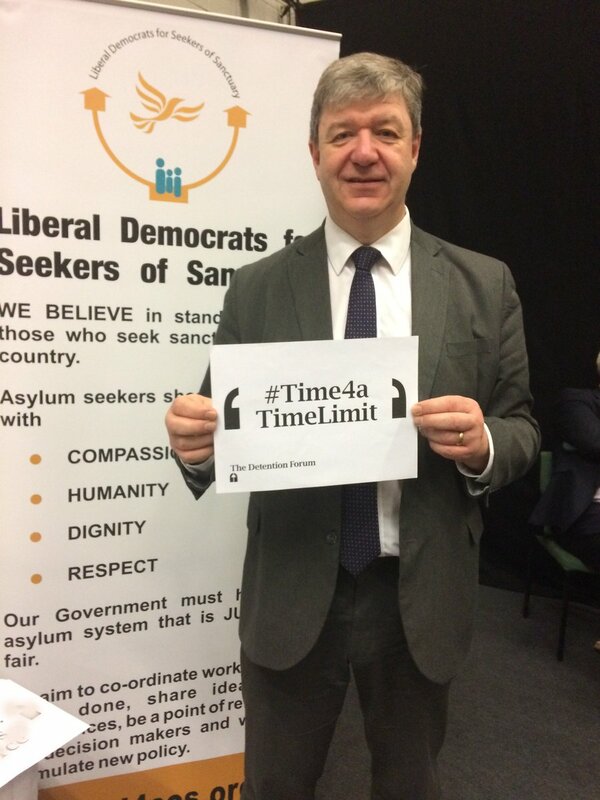 Each year in the UK thousands of people subject to immigration control are detained indefinitely with no trial or time limit given. According to a recent survey, 30 per cent of those in detention have child dependents living in the UK. Read Ralph’s powerful contribution here. "Revolving around me was a law that facilitates hate premeditated"
Do you know what is like to be detained unnecessary for indefinite time? #SanctuaryInParliament is on next Monday! Unlocking #Detention is supporting this event, calling for a 28 day time limit on immigration #detention. 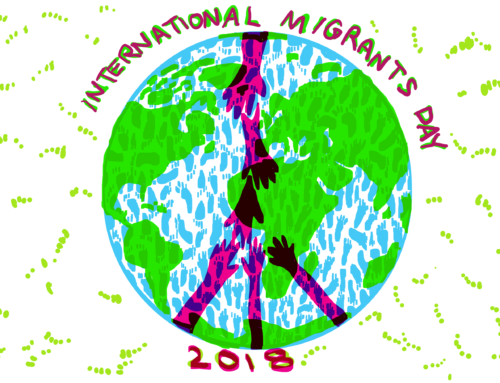 There’s no shortage of ways for you to take action to challenge immigration detention. Some of these were featured in Lauren’s blog, and in the tweets below. Also this week, we featured a blog about the Sanctuary in Parliament event. Although the event has now taken place, the blog still contains lots of helpful info about engaging with your MP. Finally, we love your selfies. Please keep them coming! Lots of our friends and supporters are getting involved in #Unlocked18 by sharing 'selfies' on social media. It's a really effective way of getting involved. And of showing clearly what you think of immigration #detention. 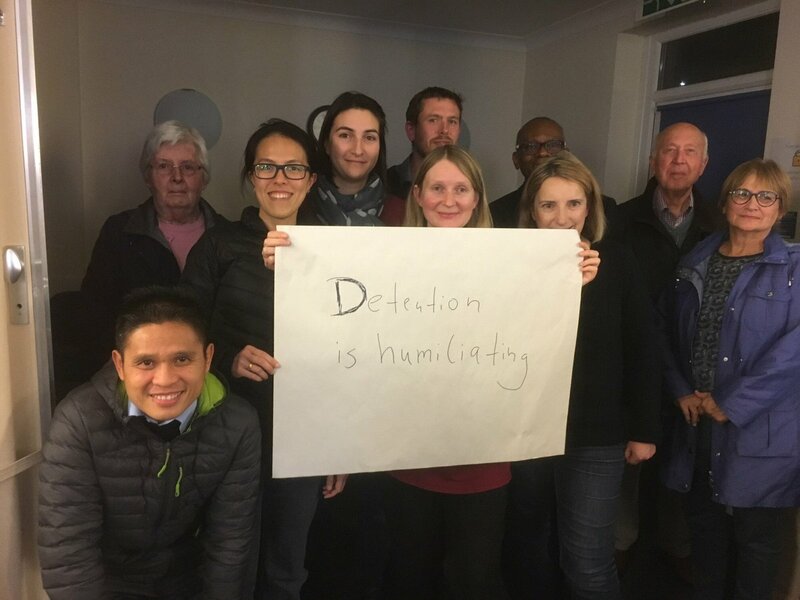 Why not tweet a 'selfie' showing what you think of immigration #detention. 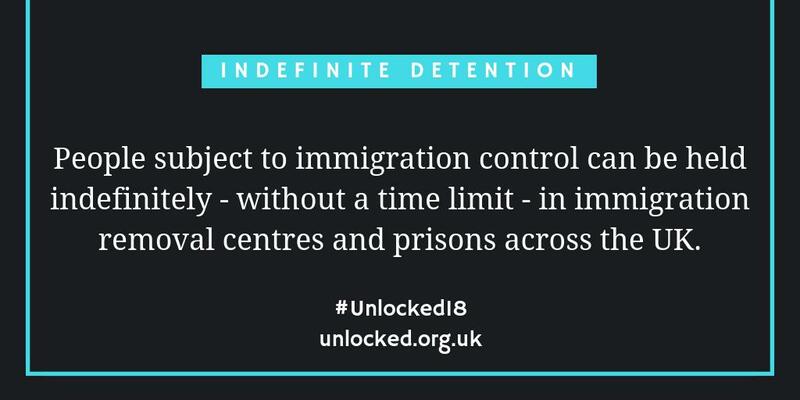 It's a really good way of getting involved in #Unlocked18.